Republics are created by the virtue, public spirit, and intelligence of the citizens. They fall, when the wise are banished from the public councils, because they dare to be honest, and the profligate are rewarded, because they flatter the people, in order to betray them. This entry was posted on Sunday, October 16th, 2016 at 7:53 am and is filed under Society. You can leave a response, or trackback from your own site. I can understand the Liberals’ and Progressives’ panic over “Militarized Police.” As these Leftists have always been against the police and are equally always more attached to image than substance, their doomsaying and strident complaints about law enforcement being well-equipped to handle rioting, looting, gangs, and other serious threat is consistent with the Liberals’ and Progressives’ normal behavior. 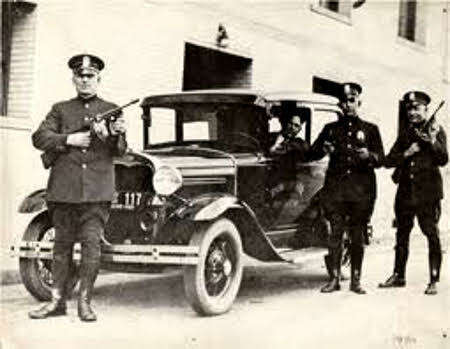 What I have a harder time understanding is that Americans seems to be exhibiting the same reactions to well-armed and well-armored police units as the Liberals and Progressives are. This strikes me as odd because, much like the Liberals’ and Progressives’ gun control agenda, this is issue all about image control and nothing about substance. Normally Americans are better than that. The terms “Assault Weapon” and “Militarized Police” are the same sort of fiction and manufactured concern. In both cases it is a phobia based upon something looking scary or dangerous without regard to whether it is more so or less than other exemplars of its kind. Also, both fears are predicated upon the delusion that having certain equipment causes one to behave in certain manners. I really thought that Americans were better than that. 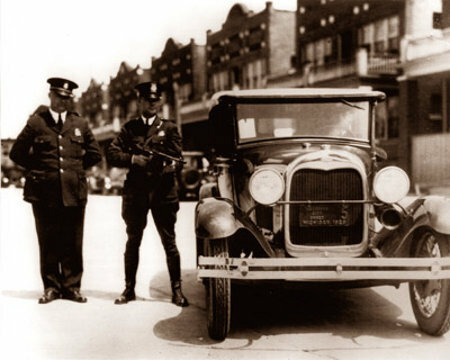 The simple truth of the matter, despite all the hype created and promulgated to the contrary, is that local and state law enforcement departments are less heavily armed than they were in past decades and that there are far, far, far fewer casualties during riots and (un)civil protests than there were in days gone by. 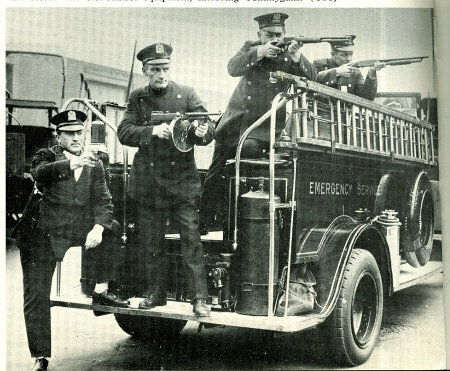 Sure, modern police tactical and riot response units look “scary” but their actual armaments are far less “militarized” than their predecessors’ were. 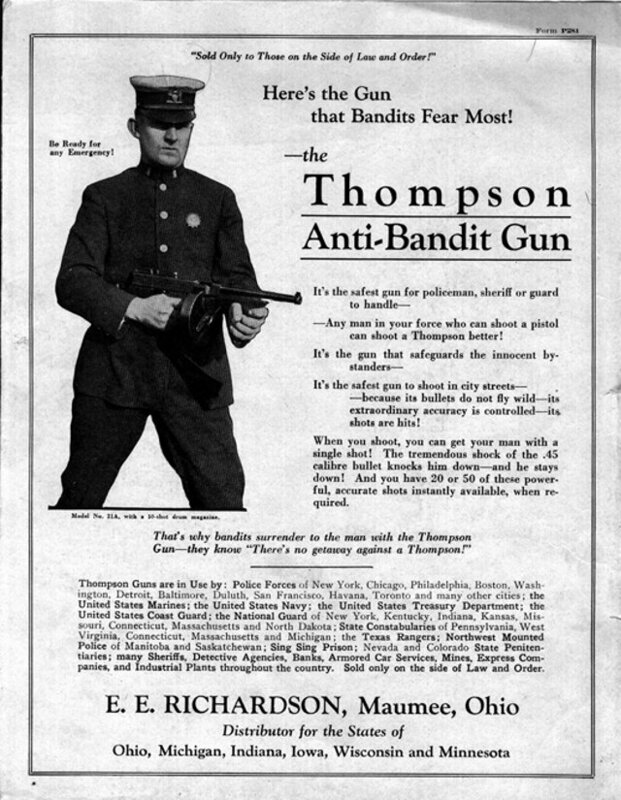 From the 1920s through the early 1970s it was common for local and state law enforcement departments to have at their disposal Thompson submachine guns. 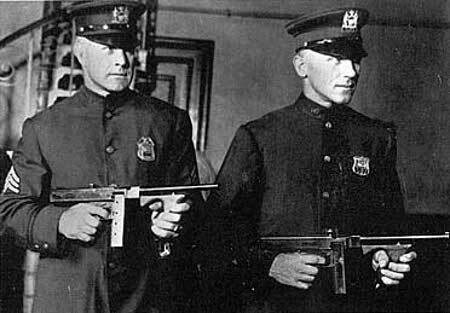 So, in America’s past our police forces were armed with fully automatic weapons, whereas now they armed with semi-automatic weapons. 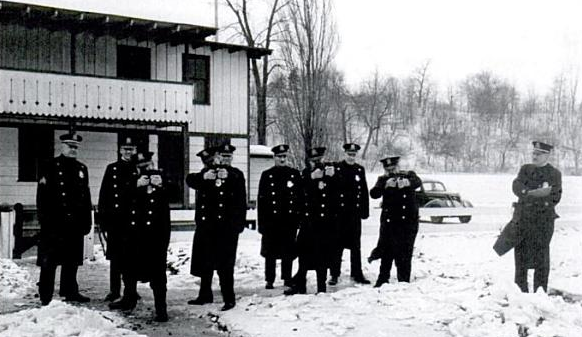 What they have now that they didn’t have in the past are: tactically practical uniforms, top flight body armor, and trained, specialized units to respond to more intense levels of threat. That is what “militarization” actually is – increasing the survivability of police officers in more intense and dangerous threat situations. This may be a large part why there are far fewer fatalities resulting from riots, (un)civil protests, and any of the variations of gang-related police operations now than there were in the past. As I said, I can understand the Liberals’ and Progressives’ panic over “Militarized Police” but I cannot understand why that same sentiment is so prevalent among Americans. This entry was posted on Monday, September 15th, 2014 at 9:38 am and is filed under Politics, Society. You can leave a response, or trackback from your own site. The American military, and the respective military forces of much of the Civilized World, is making strides to “upgrade” their arsenal of ordnance, weaponry and delivery platforms to meet society’s new “Green” agenda. 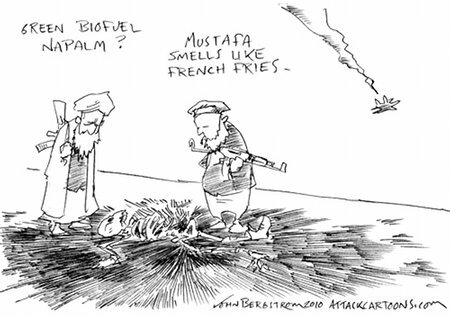 It Smells Like … French Fries? H/T to Attack Cartoons from whence I shamelessly stole this cartoon. This entry was posted on Monday, April 12th, 2010 at 8:37 am and is filed under Humor, Politics. You can leave a response, or trackback from your own site.